On the 8th of April we started celebrating Salina’s birthday on Cocos Island with a treasure hunt, where Andri got a small shark bite in his right arm while playing at the beach. 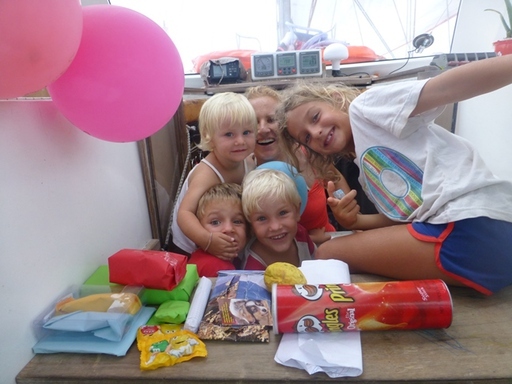 At Salina’s birthday we entered the magic waters of the Galapagos Islands after 460 nm sailing from Cocos. 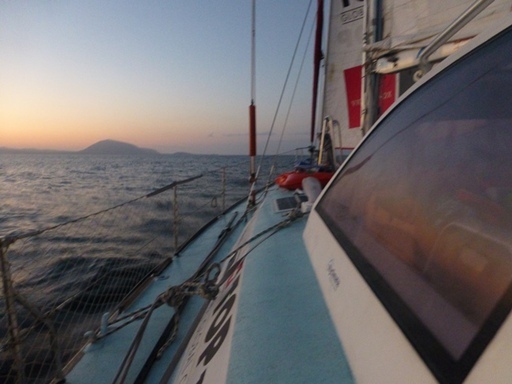 For Meret it was the first time crossing the equator and being on the Southern Hemisphere. The reason we went South was no wind North of Cocos. So we couldn’t make it into the NE-trades. 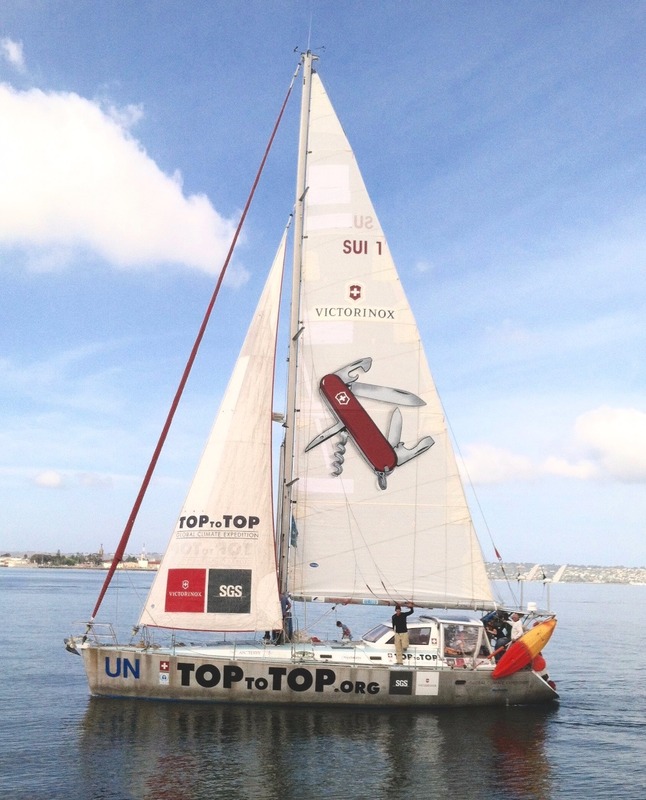 We were lucky going South and had good wind conditions in the notorious doldrums and encountered already today some breeze from the SE-trades approaching Porto Villamile. 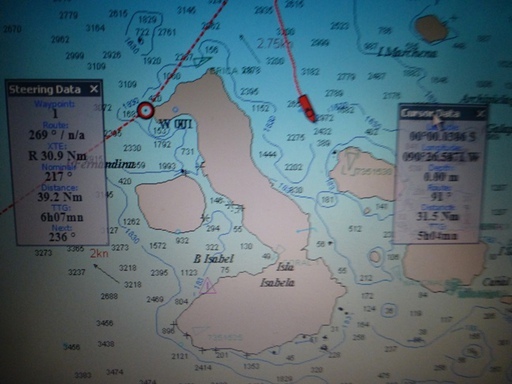 At the moment we are anchored at N 00.57.879 W 090.57.846 on Island Isabella at the same spot like 2004 where we had our first ultrasound and saw Salina first time in Sabine’s stomach: Means that Salina completed her first circumnavigation in Isabella, Galapagos. Congratulation! 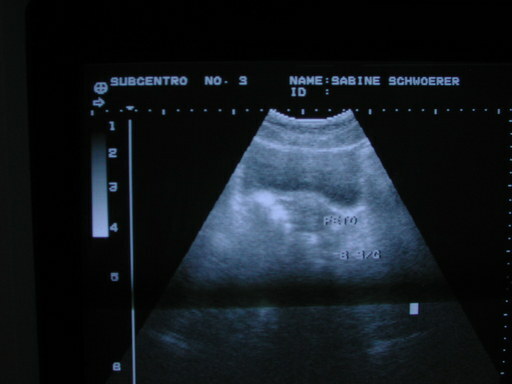 On the trip from Cocos Island Salina got some strange infection at her knees, what we go to check tomorrow at the medical center here, before we say hello to all our old friends from 2004 and continue the approx.. 4300 nm-leg to Hawaii. In the SE trade-wind-belt we will do as much West as possible till about 130 W and may till to the Marquesas, before we climb North towards Hawaii, crossing the equator again where the doldrums stretches not too much. Read our report from Galapagos 2004!